FC Barcelona cruised to a 6-1 victory on the road versus Fundació Albacete on Saturday afternoon at the Ciudad Deportiva Andrés Iniesta in Albacete, Spain. 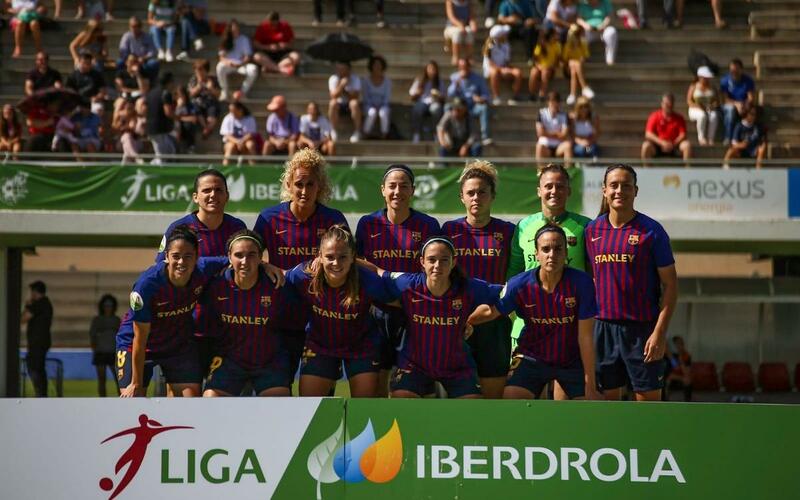 The win — which came courtesy of two goals from Aitana Bonmatí and one each from Mariona Caldentey, Lieke Martens, Vicky Losada, and Natasa Andonova — was Barça’s third triumph in a row to open the league season. Losada’s goal, which she kicked directly into the net on a corner kick, was perhaps the most impressive strike of the match, coming in the final minutes of the game with Barça already leading 4–1. Seconds later, Andonova, who had come on for Alexia Putellas in the 67th minute, tacked on Barça’s sixth and final goal. Albacete pulled one back in the 89th on a goal by Carmen — the only goal Barça has conceded this season in league play. Early in the match, Barça were dominating possession but their solid chances weren’t paying dividends, thanks to the fine play of Albacete goalkeeper Elena de Toro. Despite the final, half-dozen goal output from Barça, the match was scoreless until late in the first half, when Marta Torrejón found Mariona, who easily converted from close range. Aitana then made it 2-0 by curling a shot from out front into the upper corner. In the 63rd, Aitana set up Martens for Barça’s third goal on a textbook give-and-go. Aitana then notched Barça’s fourth, and her second of the day.